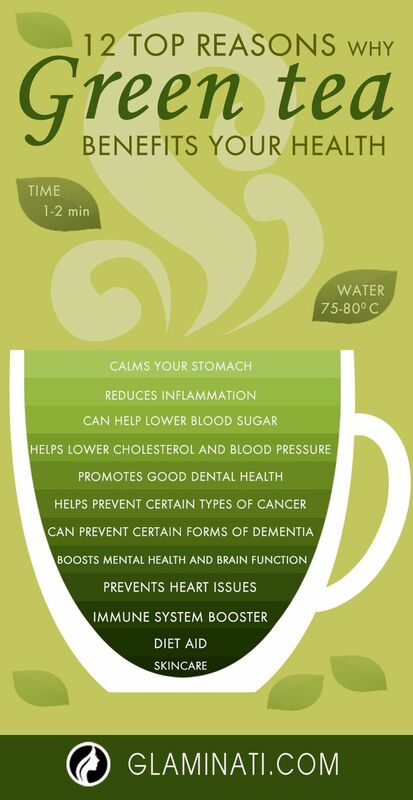 Green tea is a healthy substitute and has numerous health benefits. Green tea benefits both our physical and mental health as it is high in antioxidants, catechins, theanine, and polyphenols. It can speed up your metabolism, boost your mood and prevent certain diseases.